SPORTY STYLE - Sincerely, Kimberly. We’re meant to be experiencing summer, although England has a funny way of showing it, the weather has been all over the place. The problem with unpredictable weather is figuring out what to wear, it’s too warm for a coat yet too cold for bare legs. For now, I’ll stick to leggings and layers until I can break out the sundresses. 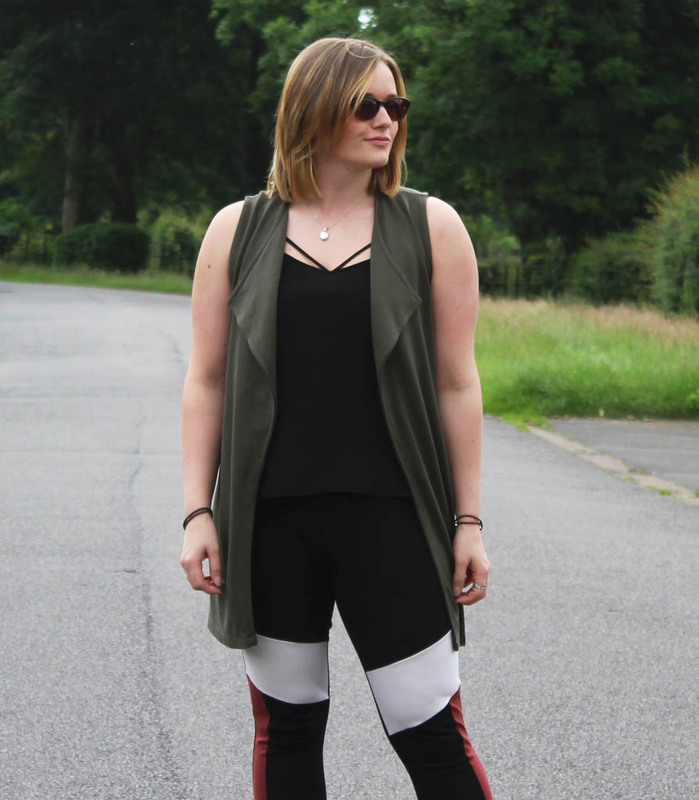 Recently I’ve loved the sporty look and these leggings are the definition of sporty in my opinion, combining them with this waistcoat creates the perfect sporty-causal look. Maybe I’m attracted to this style because I want to feel like I’m a fitness fanatic … don’t get me wrong I would love to be but I don’t think I’m there just yet. 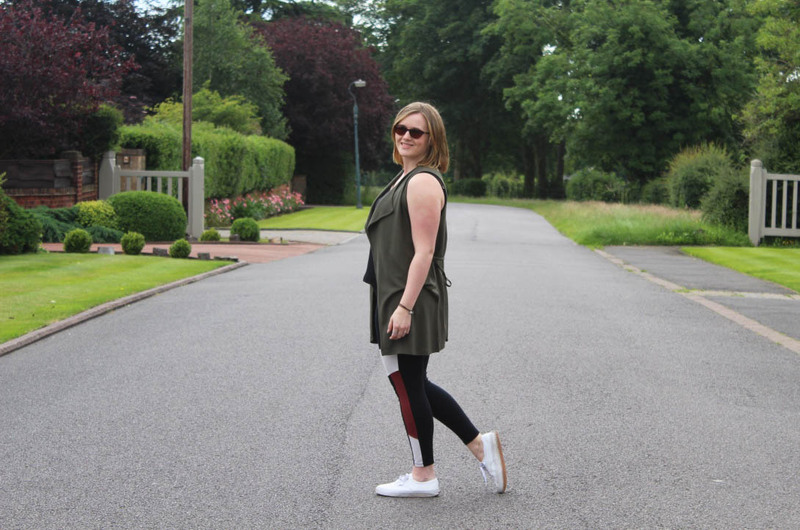 Sometimes I feel like I’ve taken the “sporty look” too far when I’m wearing my Yoga leggings on a day-to-day basis, you have to admit they are super comfy and stylish so I don’t see why it isn’t sociably acceptable. The highstreet is fully stocked with all your sporty must-haves. River Island has some of the best pieces in my opinion, maybe I’m basis because it’s one of my favourite retailers but definitely worth a sneaky look. Ooooh what a lovely outfit. I think I'm in love. Especially these tights are amazing. 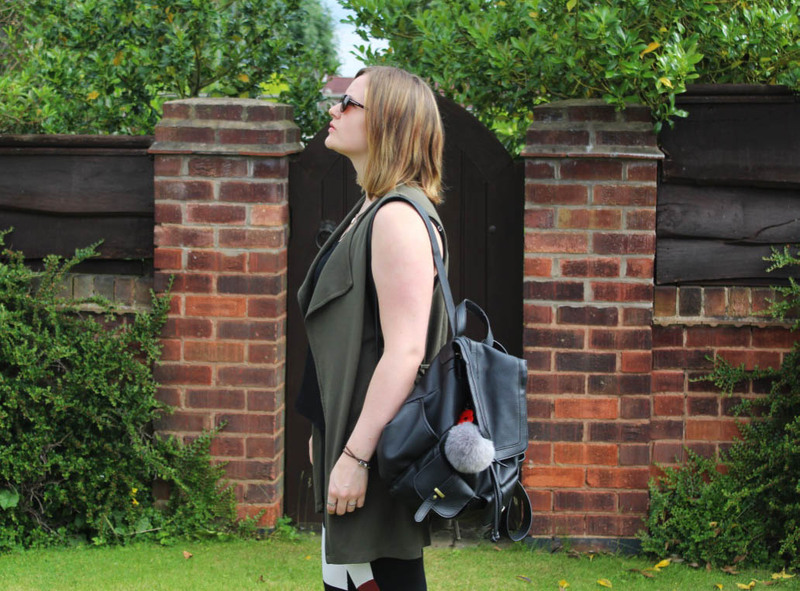 They are super comfy and stylish, the perfect combination! I love it too! 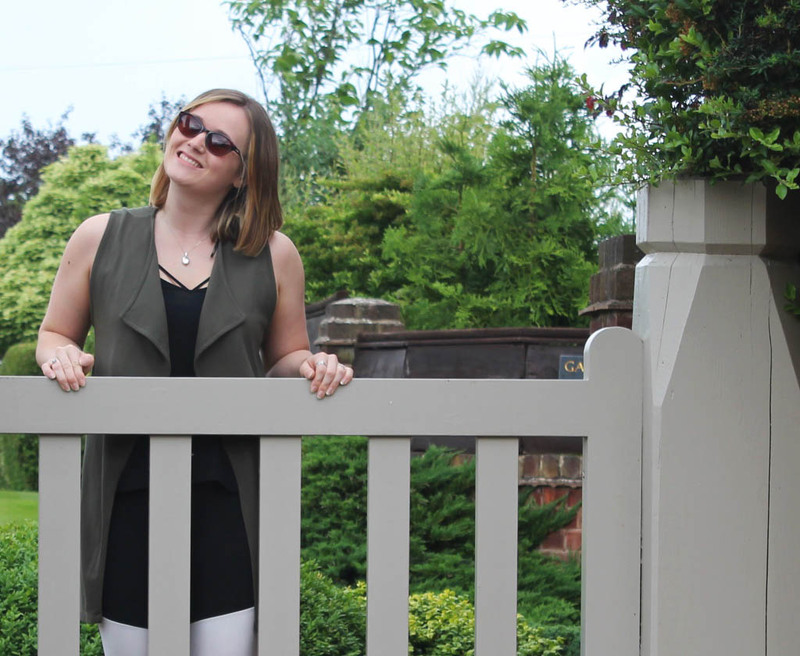 It's the perfect piece for an "English Summer" day due to the not so hot weather haha!